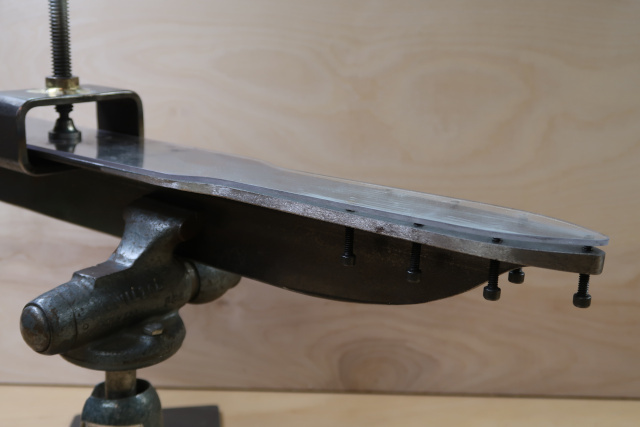 This is a more specialized finishing vise. I give full credit to Nick Wheeler for inspiring the build on this. 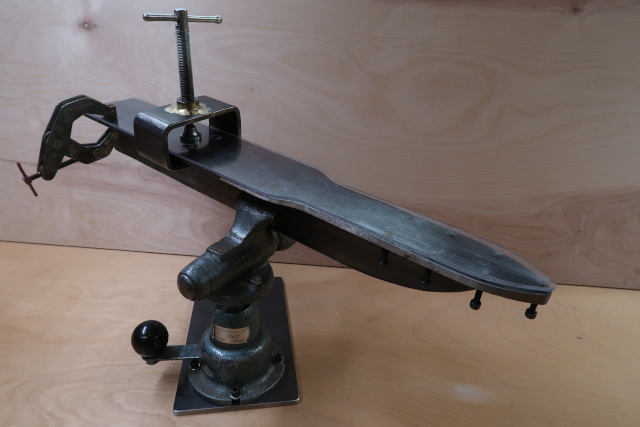 I have it mounted on a small Wilton vise, but it can be mounted on any standard vise. 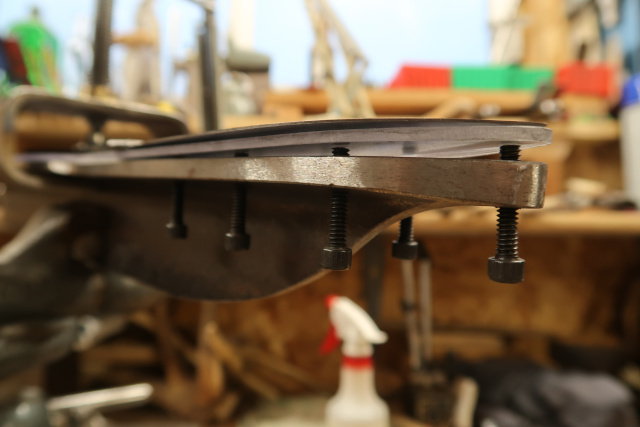 This tool allows full range of adjustment as well as full support of the blade all the way to the tip, increasing the efficiency of hand sanding. 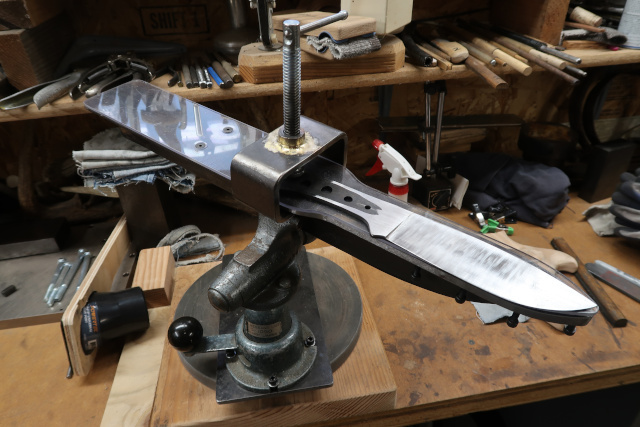 I can use either the custom clamp to secure the blade, or a Kant-twist-clamp. I designed this to mount in the same location as my other, more basic, finishing vise. A simple swap out is all that is needed.